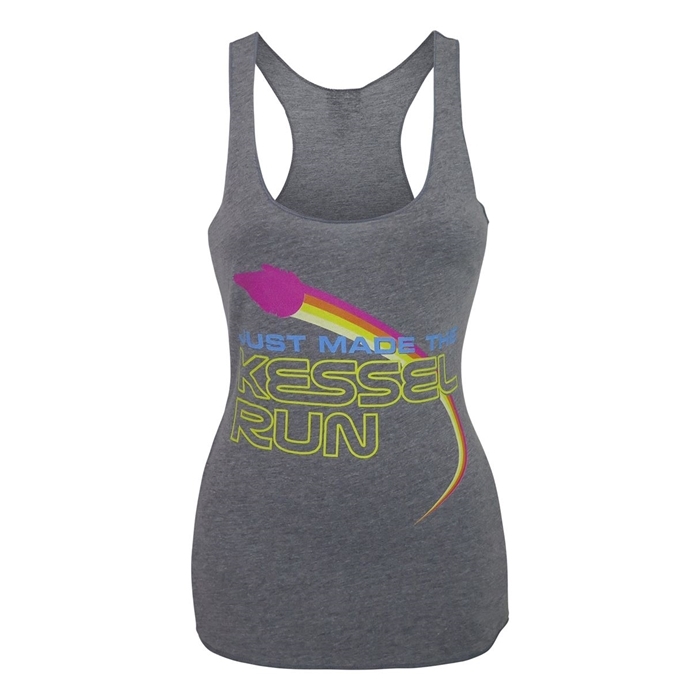 This women’s Star Wars Kessel Run tank top is available at SuperHeroStuff. 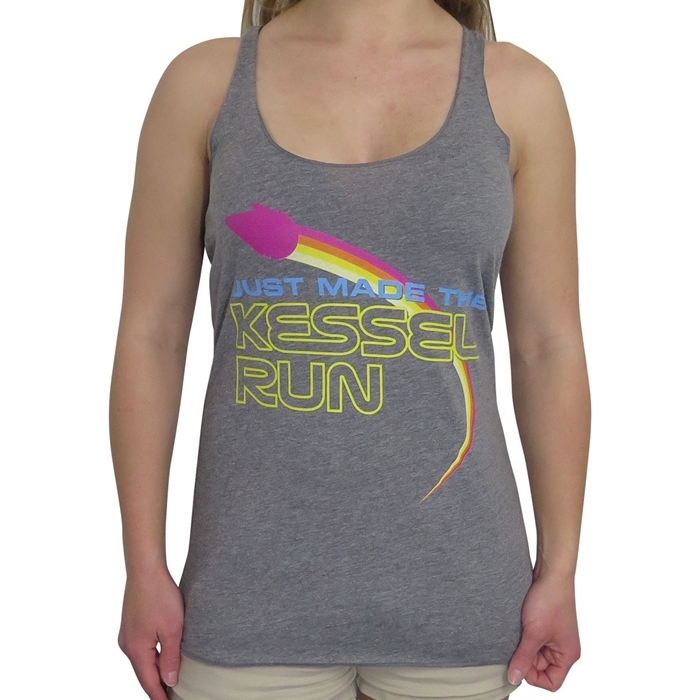 The heather grey racerback style tank top features a colourful print of the text ‘Just Made The Kessel Run’, with the Millennium Falcon flying overhead. 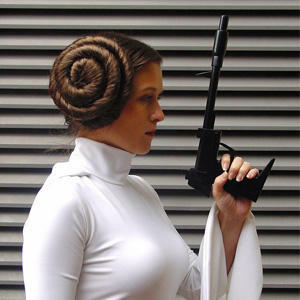 This was one of my favourites from the Solo A Star Wars Story apparel range (for obvious reasons!) – check out my review of it here! 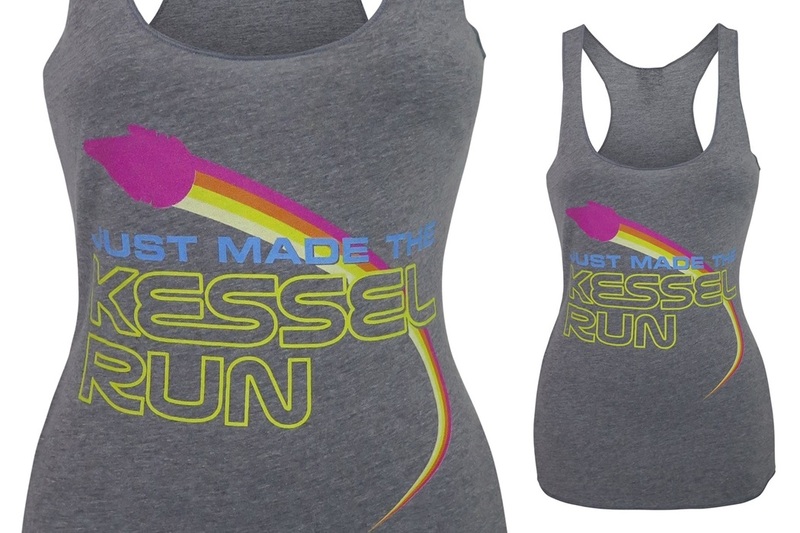 Made from 50% polyester, 25% cotton and 25% rayon, our Star Wars Solo Kessel Run Women’s Racerback Tank Top features some completely verifiable boasting considering the spacecraft did, in fact, finish the esteemed Kessel Run in only 12 parsecs. 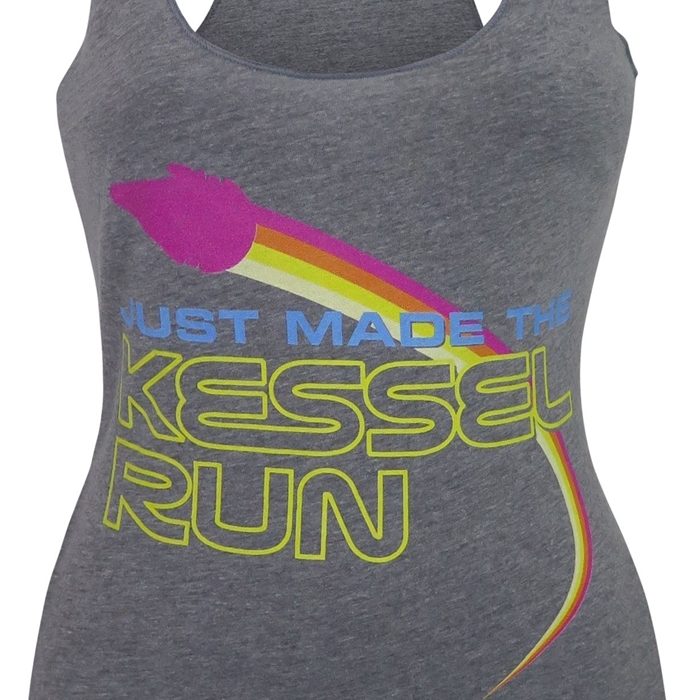 Available in sizes S to XXL, the tank top is priced at US$23.99 to US$25.99 each (depending on size) – SuperHeroStuff can ship internationally. Previous Post New Her Universe Ahsoka Tano Scarf!